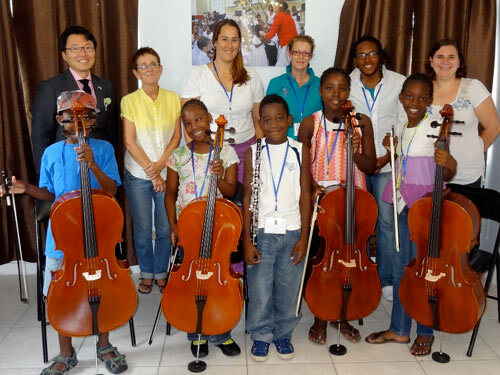 On Friday, July 12, the U.S. Embassy’s International Narcotics and Law Enforcement Affairs (INL) Officer David Jea visited the Bahamas Music Conservatory on Village Road to formally present a donation of over $6,000 that was used to purchase four new cellos and provide scholarships for five local primary school students in an effort to develop musical skills and positive outlets for under resourced Bahamian youth. 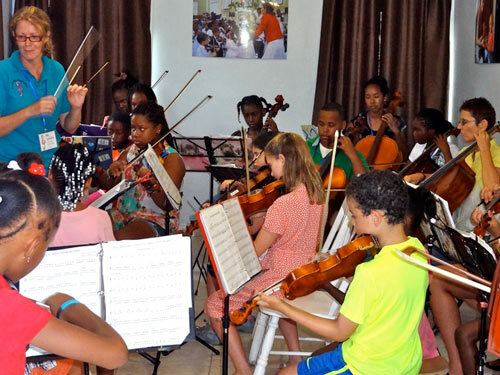 The U.S. Embassy’s donation supports the vision of Mrs. JoAnne Connaughton, Director at the Bahamas Music Conservatory to make the gift of music accessible to all and provide high quality, low cost, musical, instrumental and orchestral training in a family-oriented setting. The music program at the Bahamas Music Conservatory also serves as an intervention strategy as it not only provides students with music training, but they also promote the development of self-esteem, self-discipline, community spirit, pride and cooperation. This latest donation from the U.S. Embassy provides students from the Ridgeland Primary School with a unique opportunity to be involved in positive recreational activities over the summer months by learning how to play a musical instrument. 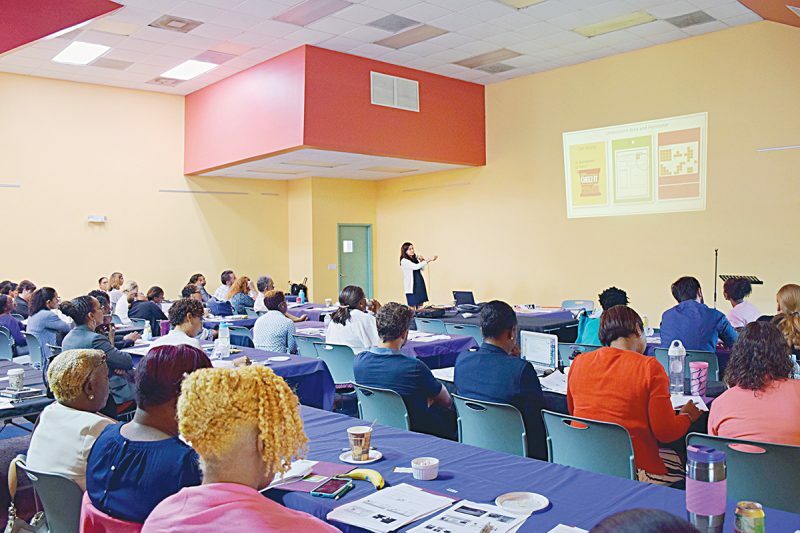 The students were selected through a partnership the Bahamas Music Conservatory has fostered with the K-Pace after school program based at the Ridgeland Park Primary School. During the visit, Mr. Jea along with other Embassy representatives were given a special treat as they were given an opportunity to listen to the melodious sounds of the budding musicians, who very eagerly learned to play their new instruments in just a few days. Photo 1: The U.S. Embassy’s INL Officer David Jea meets with music students at the Bahamas Music Conservatory. 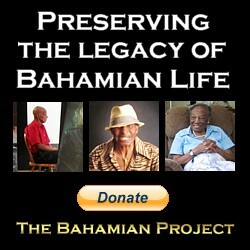 Photo 2: Music students perform for U.S. Embassy representatives during a visit to the Bahamas Music Conservatory. Photo 3: The U.S. Embassy’s INL Officer David Jea with Mrs. JoAnne Connaughton, Director at the Bahamas Music Conservatory, music teachers and students.